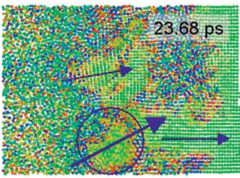 Shock compression of mono- and nanocrystalline (nc) nickel is simulated over a range of pressures (10-80 GPa) and compared with experimental results. Contributions to the strain from the various mechanisms of plastic deformation such as partial dislocations, perfect dislocations and twins are quantified in the nc samples. The effect of stress unloading, a phenomenon often neglected in MD simulations, on dislocation behavior is computed. It is shown that a large fraction of the dislocations generated during compression is annihilated upon unloading. The present analysis resolves a disagreement consistently observed between MD computations and experimental results. 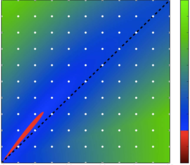 Analytical models are applied to predict the critical pressures for the cell-to-stacking-fault transition and the onset of twinning as a function of grain-size and stacking-fault energy (through the addition of tungsten). These predictions are successfully compared with experimental results.